Tumultuous upheavals—this phrase captures the situation faced by the Roman Catholic Church in the Diocese of Antigonish in Nova Scotia in the late 19th and early 20th centuries. Catholicism in Eastern Nova Scotia, where Celtic culture prevails, was conservative, anti-modernist and stagnant intellectually. To be a “good Catholic” meant living a life of material poverty focused on a parish-centred social life, charity for the really poor and pride in clan and traditions of self-reliance. But during the period of the emergence of the Canadian social gospel—from the 1880s to the 1920s—people’s livelihoods were reshaped as men poured in to the coal towns and mines from the rural areas, a new class-identity that sent shivers down the RC hierarchy’s spine. The “vacant farm” became the dominant symbol as people left the province in search of work and a better life. All sectors of the economy were in severe crisis—farming, fishing, coal mining and steel processing. Indeed, it is not too far-fetched to call Nova Scotia’s economy neo-feudalist. Roman Catholicism was under siege—town versus country, work in coal fields versus working on the land, class versus community, Church against socialism, communism, and feminism. Nova Scotian Catholicism was on the defensive, hidden in its crumbling fortress with its drawbridge raised. The RC Church desperately needed to provide a “new cultural synthesis” for the changed times. But the network of priests, sisters and active laity were restive and distressed during this time. Something had to give. Something had to be done. Troubled times often throw up persons to offer ways out. And Father Jimmy Tompkins, born in 1870 (same year as Lenin), emerged as a formidable “agitational presence” in the life of Eastern Nova Scotia Catholic politics and life in general. He was twelve years older than his second cousin, Moses Michael Coady. These two men (supported by a remarkable group of women and men) would by the mid-1930s capture the eye of the world. The “little people” (the “common folk”) would break free from passivity and cultural conformity and create a significant, vibrant network of co-operative organizations and associations. This grassroots uprising came to be called the “Antigonish Movement” and today is known in different parts of the world. It is a good example of the Catholic social gospel. Father Jimmy’s strategy in the early 20th century was to awaken the people from their deep slumber. And the people included his fellow priests as well as the Antigonish Diocese church hierarchy. In contrast to the big, mighty Moses Coady, Jimmy was a little guy with a rather high-pitched voice. He had a magpie mind and wasn’t a systematic thinker, but he combed books and movements for clues to spark a cultural awakening and economic renewal in his own beloved Nova Scotia. He opened up dialogic space in the diocesan newspaper, The Casket, for critical voices to speak to the social and economic issues facing the church. He was deeply troubled by the RC church’s isolation from public life. He lowered the drawbridge to the world and can certainly be called a “progressive” social gospeller—within the Catholic paradigm. He talked with left-wing communist labour leaders like J.B. McLachlan about creating a labour college. Tompkins wasn’t in favour of communism—he actually thought that progressive Catholics might become “Bolsheviks of a better sort”—but he certainly knew that the left-critique of capitalism was not off the rails. He didn’t seem to be afraid of modernity and enlightenment ideas. He was not an integrationist Catholic—he believed that Catholics had to accept a socially differentiated society and engage in public life with others. This meant, though, that a Catholic university like St. Francis Xavier, where he was V-P until getting kicked out in 1922 and banished to a fishing town called Canso, where Tompkins said there was only “fish, fog and fornication,” had to be radically reformed to be prepared intellectually to participate in the public sphere with others. He would fight a bitter church battle to create one dynamic university for Nova Scotia with a college like STFX having status in a federation. He lost. Before the Antigonish Movement was born, Tompkins—a kind of John the Baptist figure—engaged in what we could today call “civic politics and agitation” to awaken the people by encouraging them to clean up the town, beautify it and work to create a more hospitable little port town. He called this the “Antigonish Forward Movement” and this was launched in 1913-14. This we might call the “social service” strand of the Canadian social gospel. Fr Tompkins and a spearhead minority of priests, including the young and tough Coady, participated in a series of priest-conferences in 1918, 1919 and 1920 that turned out to be the drawing-board for the articulation of the Catholic social gospel (that was quite different from Quebec Catholicism’s orientation to dominating civil society). The Catholic social gospel for Nova Scotians could not restrict itself to refurbished forms of charitable action. It had to address the “economic crisis” wrecking people’s lives and engage the coal miners in the legendary coal towns of Glace Bay and Dominion and Reserve Mines and the ghastly exploitation by merchants of NS fishers (the fishery would be Coady’s baby). And this grassroots, popular movement had to integrate the new thinking about the “organization of enlightenment” that had to precede the “organization of collective action.” Or, no study without action, no action without study. Tompkins knew that he needed to test these ideas, and in 1921 he found the experimental venue. He and the other priests would carry knowledge to the people in the form of a People’s School. Fifty-one men, many without much formal education at all, attended and minds and hearts opened and caught fire. Jimmy crystallized the Catholic social gospel thinking that had been brewing and percolating in the priest conferences in an epochal booklet, Knowledge for the People. The agitational work of Jimmy Tompkins and his spearhead minority prepared the intellectual and spiritual ground for the creation of the STFX Extension Department in 1929. The activist priests had advocated that such an “educational mobilizing centre” be created in their meetings, but the Church hierarchy was rather reluctant—though evidence like rioting and burning down of the collieries of Cape Breton unnerved the leadership and pushed them to create a new Department. Evidence also came from the seas: in 1927 the agitation of the priests, in particular Tompkins and Coady, had led to the creation of a Royal Commission of Inquiry into the Fishery. The fishers were suffering immensely and were suffocating from neo-feudal conditions; the idea of creating a co-operative fishery was circulating both in progressive government circles and was dear to the heart of Catholic social gospellers. It is very important to acknowledge, even briefly, that the Nova Scotian social gospellers’ vision of the “Christian social order” was shaped fundamentally by the Catholic encyclical, Rerum Novarum in 1891 (Leo XIII was then pope). This encyclical addressed the “economic plight” of the international working class and gave men like Coady and Tompkins the opening they needed to articulate a social gospel that broke free from individualistic charity and social service forms of action. Leo XIII pitied the poor; Coady would choose to organize them into study clubs in order to mobilize them for enlightenment. Tompkins pithy aphorism—“Ideas have hands and feet. They’ll do work for you. You have to give the people ideas. Then they’ll blow the roof off”—captured the action-orientation of this remarkable social gospel project. Reading Coady’s speeches and writings reveal that this priest railed against the capitalist form of economy and the relegation of the people to the bleachers. He hated what war did to humanity. And when God’s blueprint was not fully implemented, he raged into the dying night. The world may break your heart. After a legendary tour of the fishing villages in Nova Scotia in 1929, Moses Coady transformed into a prophetic figure whose exploits through the 1930s and 1940s would bring fame to this Movement and the One who was to lead the little people to the Promised Land. He actually organized the United Maritime Fishermen`s Association (UMF) in 1930. The UMF would serve well as enabling tools to develop fishermen’s co-ops. He was also chosen to direct the STFX Extension Department in 1930. He was 48 years old and the capitalists and their representatives in government had a foe to contend with. The Extension Department thrashed around at first as they tried to fine the right way to proceed. But they soon found their modus operandi, and began the process of mobilizing the people for enlightenment in the early 1930s. Study circles were created in numerous villages and towns; in Tompkins’ words, they were “fraught with wonderful possibilities.” In the period from 1930 to 1932, the various study circles addressed local problems and worked together to find collective solutions. Coady had a network of priests and lay leaders to guide the study circles and a band of men and women to articulate the social gospel to the people, including the coal fields where opposition to the Church was particularly embittered. The left-wingers in the Communist movement in Glace Bay and Dominion remembered marching in a large strike in 1910 towards Dominion only to discover the army and machine guns on the steps of one of the RC churches. Coady and his brilliant assistant AB MacDonald learned through trial and error that, first, one had to capture the interest of adult learners. Second, the learning processes in small study clubs could not be academic or speculative. The primary producers had to see that their learning had a pay-off, that they were solving real problems. The study clubs were the vehicle to organize the enlightenment process. In the early stages of study club development, the clubs functioned largely as locally based self-help initiatives. People had to get their feet wet, try things out, experience the exhilaration of learning by doing and the joy of small beginnings. Coady thought the establishment of the credit—the people’s banks—taught simply the technique of group action. From there, they could move to the fields of marketing and production and processing. Start safely, proceed easily. Only gradually would a coherent project for building a new economic and social order take shape in practice and imagination. Extension has to grow into a movement, and nothing was guaranteed in the fragility of the early moments. In MOTD, written in 1939, Coady expressed in simple terms his strategy. In the only book he published, Masters of Our Own Destiny (1939), he wrote: “When the first Extension workers went out to mobilize the people of any community for action, they assembled them at a mass meeting. This mass meeting has two functions: first, top break existing mind-sets; second, to help people make up their minds anew to rebuild both themselves and society. Previous to the meeting preliminary work was done with key men of the community who would arouse the interest of their fellows and insure a good attendance. This procedure has been followed right down to the present, and serves the purpose of reaching a large number of people with the least possible time, expense and effort” (p. 30). By 1939, 19,600 people were enrolled in 2, 265 study clubs, 342 credit unions had been established and 162 other forms of co-operative organization created. The War Years, 1939-1945, saw the loss of significant numbers of grassroots leaders to war service. But the Movement fared reasonably well, concentrating attention on leadership training as the number and range of co-operative organizations spread throughout the Maritimes. Tompkins (with Mary Arnold, legendary and quirky American cooperator) initiated a housing co-op project in the late 1930s. Today one can wander through Tompkinsville and see the simple and plain icons of the Catholic social gospel and the action of the little people. The Antigonish Movement was just successful enough for Coady to imagine that God’s blueprint could be the way forward to those who wanted to carve a “middle way” between capitalism and communism. Coady imagined that the world as it is does not need to be the way it ought to be. 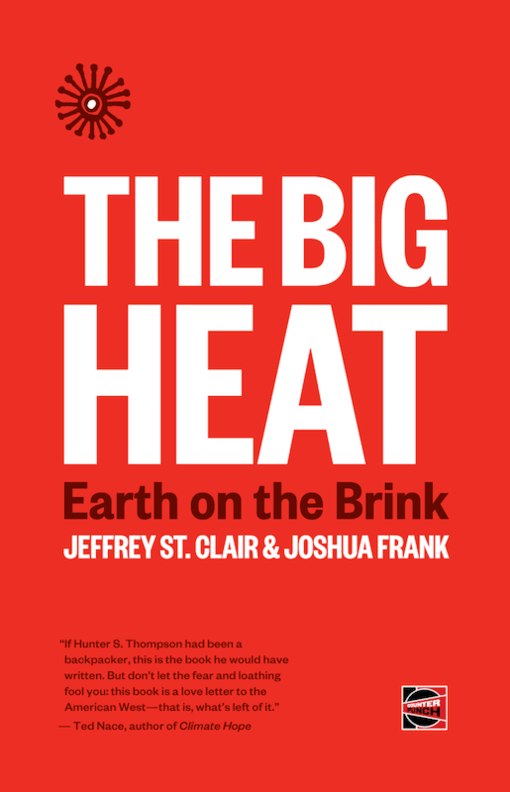 But the world may break your heart, and Coady and the Movement faced a re-energized and militant capitalism that set out to break the back of the co-op fishery and the Movement’s in-roads into coal country. Today the Coady Institute on the StFX campus stands as testimony to the Catholic social gospel that flared into history in a dark time.